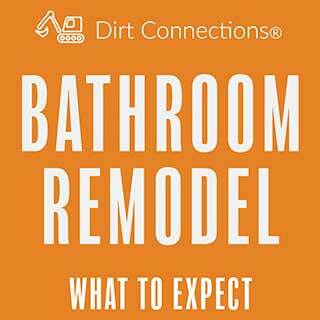 Dirt Connections is now offering a new service where they are looking for Northern VA contractors who have materials to sell. These materials include clean fill dirt – unscreened, rough fill dirt, topsoil – unscreened, concrete – clean, asphalt millings – unscreened, sand, and clay. You can visit the Dirt Connections Northern Virginia Available Materials webpage to submit your available materials. All you have to do is fill out is that you have materials, what kind of materials, how many cubic yards of that material, and contact information. From there they will reach out to you regarding your materials. 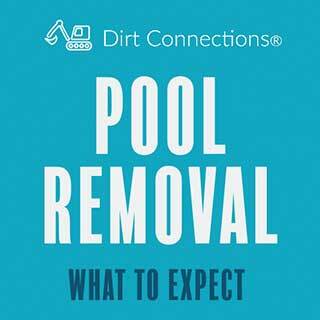 Speak to Dirt Connections for additional information. Where Does Fill Dirt Come From? 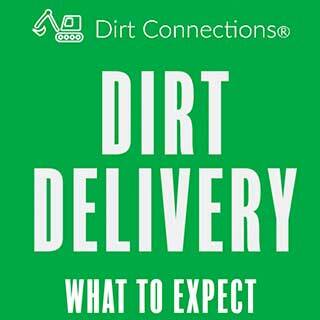 Dirt Connections offers free dirt for qualifying orders made by Northern VA contractors. Fill dirt is most often used to change the grade or elevation of a property to make it more ideal for its intended use. Fill dirt is known as subsoil because it is taken from below the topsoil. Depending on where the dirt is being taken from, this is usually about six inches below the ground. Taking the dirt from this deep is intentional because it does not contain any organic matter. Organic matter breaks down over time, and as it does so, it enriches the dirt with plenty of nutrients to help support plant life. However, this organic matter is what also makes topsoil very unstable. As the organic matter breaks down, the dirt around it begins to shift, which is why topsoil cannot be used for construction purposes. Fill dirt is mostly used for construction purposes. This can be for land grading, highway maintenance, creating foundations, excavation, acting as backfill, etc. It can also be used for landscaping projects that require elevation changes, such as the addition of a swimming pool, the removal of a swimming pool, or the addition of a waterfall. With all of these projects the dirt will likely go unseen when the project is completed. However, just because it’s not obvious at first glance, doesn’t mean the fill dirt isn’t playing a major role in the structure and stability of the completed project. Because fill dirt is such a big part of the overall success of any construction project, Northern VA contractors need to make sure that they’re only obtaining and working with clean fill dirt. Clean fill dirt is fill dirt that does not contain toxins, organic matter, or large debris. If any of these materials are found within your fill dirt it could compromise the stability of your fill dirt and could potentially ruin the final outcome of your project. To avoid this, make sure you order clean fill dirt from Dirt Connections. While the idea of fill dirt may bring to mind the ease of just simply digging it up from your backyard and getting to work immediately, it actually isn’t that simple to obtain. The optimum, clean fill dirt has to go through some processing first in order to work as well as it does. It must be checked for any large chunks of debris that could be hidden inside. It also must be tested and cleaned to ensure that it does not contain any chemicals, toxins, or other manufactured byproducts. Finally for the dirt to be considered clean fill dirt, it must be screened to make sure that it contains no organic matter. These processes are necessary to ensure that fill dirt meets certain local regulations to be used. So, when you’re searching for fill dirt for your project, make sure to find a local fill dirt company that provides only certified, clean fill dirt. Topsoil is another type of dirt that Dirt Connections provides for Northern VA contractors. Topsoil is the uppermost, outermost layer of soil. It’s usually if the first 6-8 inches of dirt, but it can vary depending on the area. It has a high concentration of organic matter and microorganisms and provides the environment for where the most of the Earth’s biological soil activity occurs. Four elements make up the composition of soil: mineral particles, organic matter, water, and air. The varying levels of each element are what make up the skeletal structure of most soils. Mineral particles make up 50-80% of the skeletal structure of the soil. The variance of different amount of mineral particles can change the internal matter and effect things such as water drainage and overlying landscape. The second element of organic matter affects soil based on its quantity within the soil. Too much organic matter and too little organic matter can have both positive and negative effects on the soil. For example, a lot of organic matter with make the soil extremely rich in nutrients, but it will also create weak bearing capacities. Having a small amount of organic matter is going to make the soil much more stable, but it will lack the necessary nutrients to support plant growth. 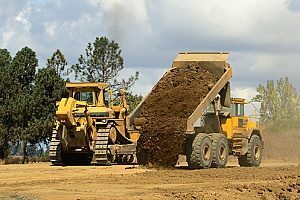 If you need to buy topsoil for your project, be sure to order topsoil online from dirtconnections.com or speak with a Virginia topsoil contractor for more information. Some of the common types of soils are sandy soil, clay soil, and silt soil. Sandy soil is light, warm, day and tends to be acidic and low in nutrients. It’s quicker to warm up in the summer, but because of it’s quick drainage, it also tends to get very dry in the summer. 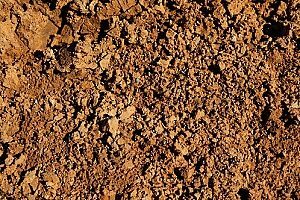 Clay soil is a much heavier soil than sandy soil and it is much higher in nutrients. It remains wet and cold in the winter and can dry out in the summer. 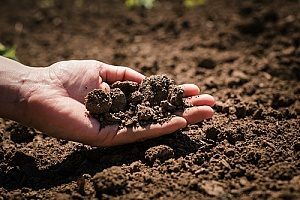 Clay soil is made up of 25% clay, and because there is a lot of space between the clay particles in the soil, the dirt is able to retain a high amount of water. Silt soil is a light and moisture retentive soil with a high fertility rate. It’s composed of medium-sized particles that allow for water to be retained and drain at an ideal rate. The downside to this soil is that it tends to be very fine, so it can be easily washed away by rain. It is important that Northern VA contractors have access to For more information about materials you need for your next project, or materials you may already have and wish to utilize in your project, contact Dirt Connections to learn more.